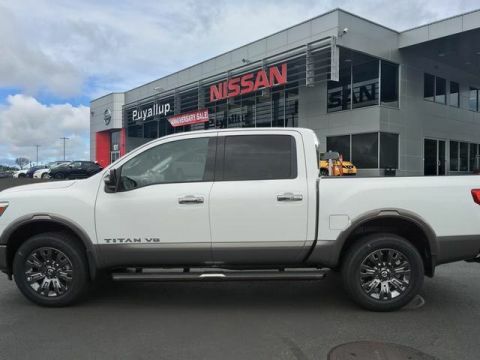 Puyallup Nissan is excited to offer new Nissan Titan specials for discounts on a pickup with a spacious cab that’s capable of towing up to 9,740 lbs.! Powered by the incredible Endurance® 5.6L V8 engine that puts out up to 390 hp, you’ll feel in charge as you take on tough jobs, and inside, push button start and available leather-trimmed seats allow you to have luxury comforts. SiriusXM radio is available with a 3-month complimentary trial, and those looking for more adventure with love the performance shocks of the PRO-4X trim that’s outfitted for rough terrain! 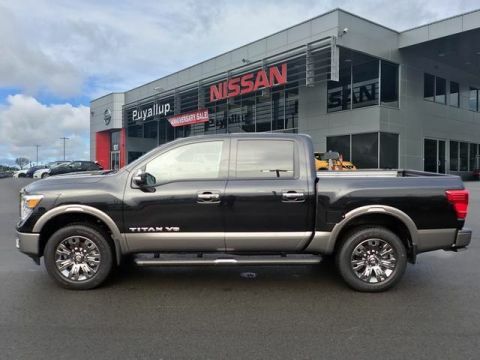 You’re in luck if you’re shopping for this dynamic pickup, as Nissan is offering up to $2,000 cash back for new Nissan Titan specials. For bonus savings, we’re adding additional deep cuts that can get you an additional $4,000 off on select models! 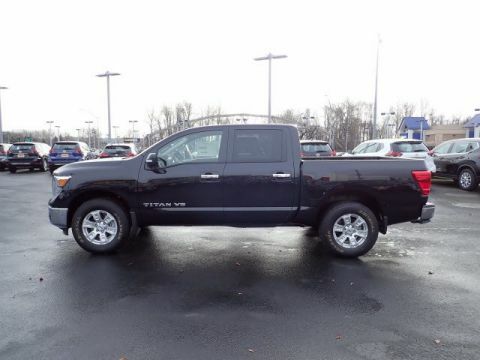 Bring in your trade to drop the price even further, and we’ll help you finance the rest of the cost to fit this powerful pickup into your budget. Call us today at 253-848-4507 to make an appointment for a test drive!